I came to Canyon Crossing Recovery on February 7, 2017. I was as low as I could possibly be. I have been an addict for ¾ of my life, and after 14 years of being sober – I relapsed for 2 years. I was close to death and still… I couldn't stop using. After a 3 day stint in the hospital, I finally succumbed to treatment. Canyon is not an easy program, however REAL LIFE is not easy either. Staying sober takes work and a team of support. Canyon gave me that opportunity. They not only gave me the tools to save my life, but gave me a new perspective on myself. I can honestly say that I’m super passionate about this program. We are a family. When I began working at Canyon, I was elated. I can't think of anything else that I would rather do than to help other women save their lives and stay sober. 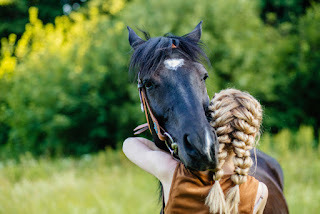 I believe because I was a client, I have a different outlook and connection with the women of Canyon. I have made life-long friends. I can see through all of their eyes. We are a unique program and there's a bond between us. We know what they go through because we have walked the same road. We have all walked the same path and know what it's like to come out of the darkness to the other side. Canyon Crossing truly is a special program, and I am very lucky to be a part of the change and the light that comes from completing this program. In recovery, you invested a great deal of time into learning about emotional, physical and spiritual wellness through tools like behavioral and experiential therapy. One thing you may not have spent as much time on, however, is financial wellness. Learning how to set and maintain a budget and sensible spending habits may be one of the most essential keys to a successful recovery. Addiction and irresponsible spending habits go hand in hand. Many addicts reach a point where they are tapping into their life savings or frequently taking out “quick cash” loans to get money to fuel their addiction. They aren’t thinking of the long-term financial consequences of going into debt – their only goal is to chase the next high. Even those who do not end up on the brink of financial ruin may begin to associate spending with the rush of using drugs, which can turn money into a powerful trigger. Even once recovering addicts have stopped spending all their money on their addiction, they often continue making irresponsible purchases, leading to debt and stress that can chip away at their newfound sobriety and put them at greater risk for a relapse. Like other life skills, financial wellness is something you have to learn. However, not all recovery centers teach and emphasize the importance of lifelong money management techniques like saving, budgeting, managing a bank account and tracking spending habits. If taking responsibility for your financial situation feels overwhelming, and you don’t know where to start, a good first step is to ask a trusted relative or friend to help you develop a plan for managing your finances. Develop a sensible budget that covers your monthly expenses and allows you to build a savings account as you repay any debts you have accumulated. 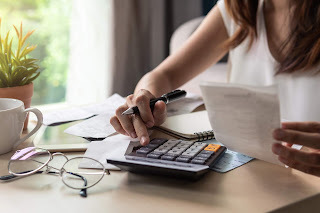 Consider setting up your savings account in a way that makes it more difficult for you to access – such as in a different bank from your checking account, with no ATM or debit card. Take advantage of every resource available to you. Most banks and credit unions offer free financial planning advice or workshops. Set up direct deposit for your paychecks, instead of getting a paper check that might tempt you to cash it on the spot. Pay with cash whenever possible, or set up a prepaid debit card that is designed to help people in addiction recovery manage their finances. Use a free online money-management tool like Mint to help you keep track of your savings and expenses. Keep in close contact with your therapist or recovery sponsor and ask them to check in with you on paydays. Rebuilding financial wellness in addiction recovery takes time, but it’s something you can achieve if you stick to a plan, learn to avoid bad spending habits and ask for help when you need it. Canyon Crossing is a women’s-only addiction treatment facility in Prescott, AZ. Life skills, including financial wellness, are a cornerstone of our transitional living and treatment program. 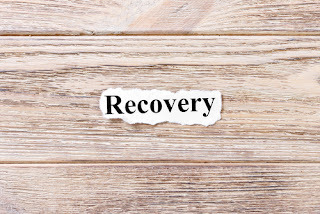 Contact us today to get the help you need and begin your recovery process with us. We all know the phrase “you are what you eat” – the concept that good nutrition helps support your body and mind. But you may not have realized a balanced diet can be your most powerful tool in your recovery process. There is a common misconception that people who are battling to overcome a drug or alcohol addiction should be able to “reward” themselves by indulging in any sweets or fatty foods they may crave. After all, junk food is nowhere near as dangerous to consume as drugs and alcohol…right? A growing body of evidence suggests exactly the opposite: that these unhealthy, careless eating habits could be doing more harm than good along your journey to recovery. Of course, it’s important for everyone to develop healthy eating habits. But we now know that’s especially true for people who are working on maintaining their sobriety. Recovering addicts face a one-two punch when it comes to nutrition. First, habitually ingesting drugs or alcohol wreaks havoc on the body. Prolonged alcohol use impedes your body to break down and assimilate the nutrients in your diet, resulting in nutritional deficiencies. Meanwhile, severe vomiting and diarrhea, which can lead to nutrient depletion, are common withdrawal symptoms with drugs such as opiates. The second factor that results in poor nutritional habits for addicts is their lifestyle. People with substance abuse disorders are less likely to eat a healthy diet. Some drugs stimulate the appetite, while others suppress it. For many people, their craving for the addictive substance takes a higher priority in their life than eating foods that are rich in high-quality nutrients. Eating a healthy diet helps recovering addicts feel better because proper nutrition gives people more energy and strength. Drug and alcohol abuse usually leads to some degree of organ damage, but a balanced diet provides the nutritional building blocks people in recovery need for their bodies to begin restoring damaged tissues. Eating right can also help boost your mood. Research has shown dietary changes can influence your behavior by altering brain structure both chemically and physiologically, leading to mood-enhancing neurotransmitters like serotonin. Food is a tool for recovering addicts that can help them feel both physically and mentally stronger. Often, following a healthy and nutrient-dense diet plan will reduce the risk of relapse. Nutrition is a cornerstone of addiction recovery. 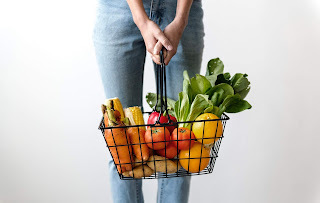 Regaining and maintaining overall health requires a commitment not only to abstaining from drugs and alcohol, but by practicing healthy eating habits. If you or someone you know is struggling with an addiction and the negative health effects related to it, Canyon Crossing is here to help. Our admissions coordinators are standing by to answer your questions about seeking women’s-only addiction care in Prescott, AZ. Contact us today to get the help you need for yourself or a loved one. The disease of addiction affects every aspect of a sufferer’s life – not only physically and mentally, but also spiritually. Because addiction is a chronic illness, its symptoms require ongoing management. 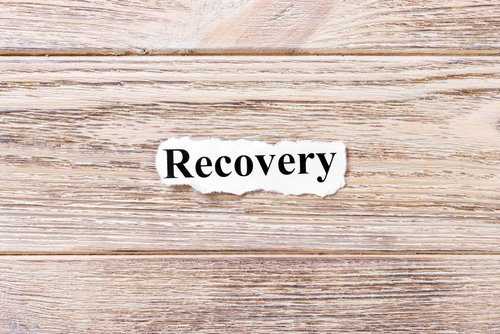 Even after you have successfully transitioned out of a qualified rehabilitation program, you must commit to your ongoing recovery journey every day to reap the long-term rewards of your sober lifestyle. 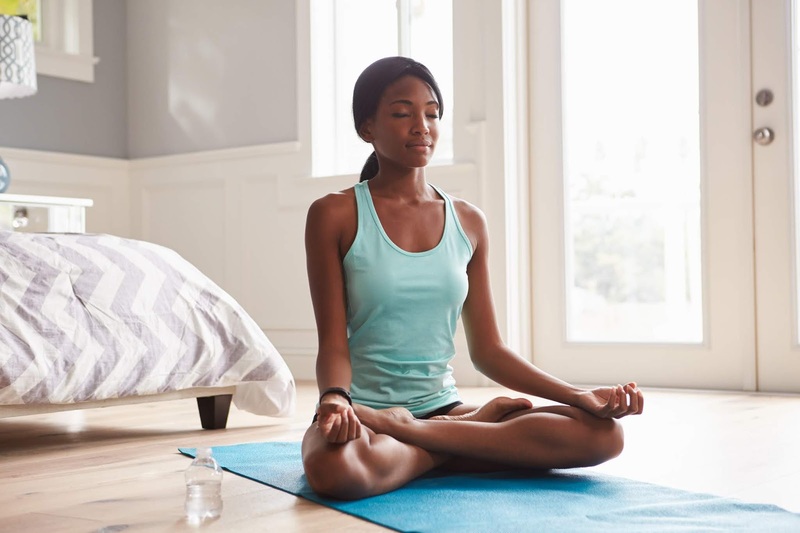 Alongside traditional therapies and support meetings, meditation can be a powerful tool as you work to restore a healthy mind-body connection, regain your equilibrium and embrace a tranquil mindset. What are the benefits of pursuing a meditative practice, and how can it benefit you in recovery? Many misconceptions have arisen around the practice of meditation, including that only people who are willing to retreat from the world can succeed at establishing this habit. However, that couldn’t be further from the truth. Meditation can benefit anyone from any walk of life. You may have tried to meditate before, only to give up in frustration when you couldn’t successfully rid yourself of all thoughts. The idea that meditation involves the absence of thoughts is another myth surrounding the practice. Successful meditation involves recognizing and learning to accept thoughts and ideas when they arise, and becoming a better observer of your thought patterns. In other words, it’s a way of retraining your mind. Scientists now know there are many advantages to practicing meditation regularly, including lowered levels of stress and anxiety and improved sleep and self-awareness. Meditation can also help you establish the habit of mindfulness, or the ability to “live in the moment.” While mindfulness has multiple practical applications for any meditation practitioner, it can play a highly specific role for people who are working on recovering from substance misuse disorders. Meditation and mindfulness can teach you healthy methods for handling stressful situations and triggers that may have previously led you down the path to relapse. Discovering mindfulness can teach you to recognize the various factors begin a chain reaction of negative thought and unhealthy coping mechanisms. Fine-tuning your thought processes through meditation gives you the opportunity to reevaluate your behavior with a calm, nonjudgmental attitude. As you advance in your meditation practice, your triggers will become less daunting and more manageable. Meditating is deceptively simple on its surface, but takes some dedication to master. The good news is, you can meditate anywhere, anytime, without any special equipment. Begin by sitting or lying in a comfortable position. Make sure you are not holding tension anywhere in your body. If you want, you can close your eyes. Then, focus on your breath. Take slow, deep breaths and pay attention to each inhale and exhale. Try to maintain this for at least two minutes. After this exercise, come back and note how long it was before you allowed your mind to wander away from your breath. The benefit of this exercise is that it trains you to recognize when intrusive thoughts arise. As with other exercises, consistency is key to establishing a habit. Once you have repeated this daily for a few days or weeks, you’ll begin to notice when you’re not being mindful, so you can remind yourself to come back to the present moment. If you have been exploring meditation and are seeking a recovery center that takes a holistic approach to drug and alcohol rehabilitation, contact Canyon Crossing today. Our programs include spiritual retreats that help women reconnect with their spirituality and discover an inner peace.